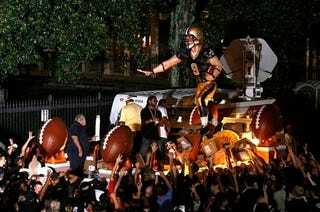 There was a parade for a video game in New Orleans yesterday. For Madden NFL 11. That makes it a parade that's also a marketing stunt. Still, we are surely in the early days of video game parades. Baby steps.